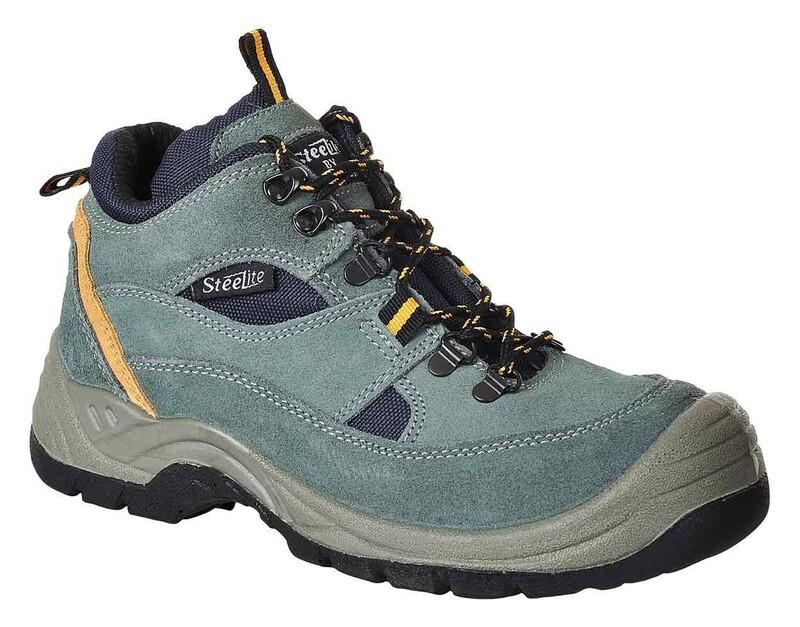 An S1P Hiker style Safety Boot from Portwest. The Portwest FW60 is a mid cut Hiker style Boot which features steel toe caps and a steel midsole. Built in a lightweight construction, a scuff cap has been added to provide further protection. Anti static with a slip and oil resistant sole and an energy absorbing heel for comfort. In cow suede leather with a PU outsole. EN ISO 20345.